A classic red tricycle packed with some great features and a cool nostalgic design. Durable and easy to ride for ages 2-4 years. A 3 position adjustable push handle allows parents to help regulate speed and direction. A controlled turning radius and low center of gravity. This Tricycle won Dr. Toy's Best Classic Toy Award. Learning to ride is an important and fun experience in every childs life. We all want our children to enjoy those special firsts but of course it's important that they be safe as well. This Classic tricycle has been designed to provide maximum safety for small children. 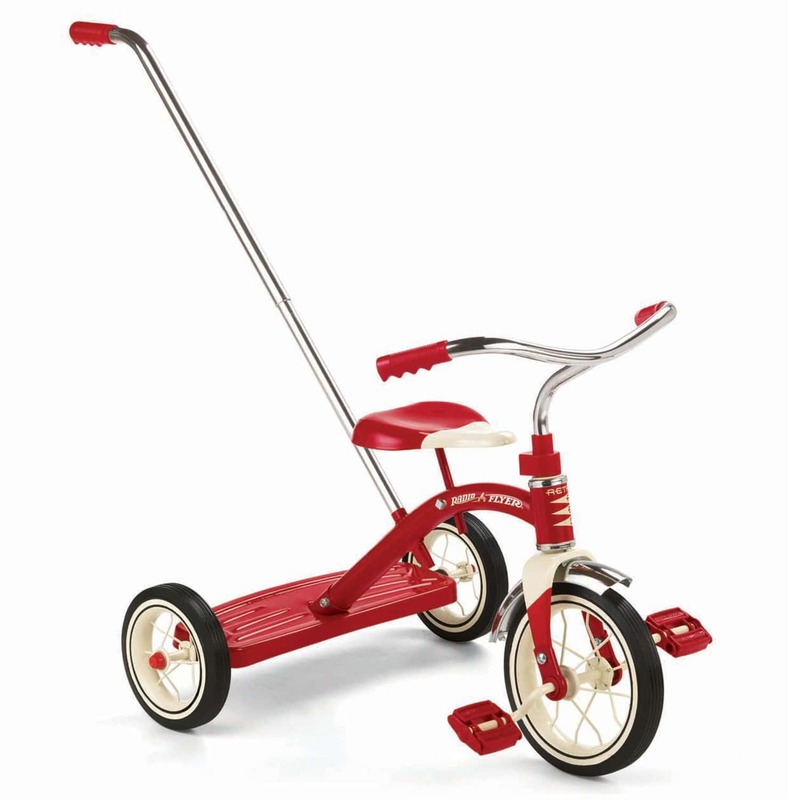 The classic red tricycle is available here ~ CLASSIC RED TRICYCLE. There is a beautiful bright pink version as well, perfect for any little girl!